TOP 10 Tips For Frugal Gardening! Don’t these strawberries look yummy! 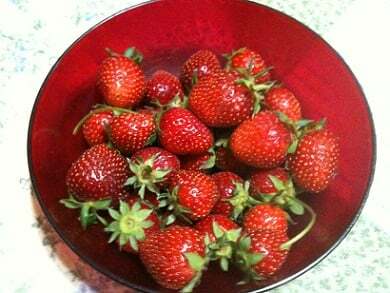 The above picture is from Melissa’s strawberry patch a few years ago and believe me they were good! I sure wish they still had them … I’d be over there right now checking their progress lol! I love gardening and this is my favorite time of year to do it. I usually spend lots of time outdoors planting and working in the flower gardens even though I live in an apartment. What I don’t like is having to spend lots of money doing it. I couldn’t believe the price of Miracle Grow potting soil these days. The price of flowers seems to have skyrocketed too! If you see plants that are not in very good shape ask the manager if they’ll give you a discount! 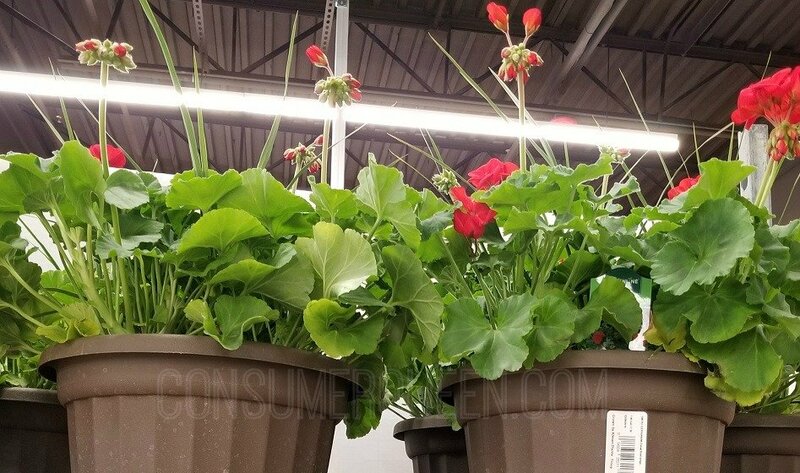 I scored hanging flower baskets at a fraction of the cost because they were all wilted due to lack of water (they looked really bad). I took them home, dosed them with water and in a few days they looked great! You can also cut them back to promote new growth. Do the same with mulch and decorative rock. If you see torn bags, ask for a discount. Do you have a tree trimming service in your area? They may be able to provide you with FREE wood mulch! When I buy flowers I save the plastic containers they come in (the round plastic ones are the best). I turn one upside down and place it in the bottom of one of my large flower pots. This provides drainage for the plants and takes up space so I so don’t use nearly as much potting soil. Annuals don’t need a lot of room for their root systems because they have such a short growing season, dying with the first good freeze. This also great for those who grow veggies in containers! At the end of the year buy seeds on sale and refrigerate them in a brown paper bag. They’ll last a few years after the use by date! Sprinkle salt between decorative rocks or patio stones to keep grass from growing and to kill weeds. You can also use full strength vinegar to kill grass and weeds between rocks and in sidewalk cracks. Here’s two recipes for pest control: #1 mix a tablespoon of dish soap with a cup of cooking oil. Mix 3 tablespoons of this with 1 quart of water and spray on plants. #2 Steep about 6-8 cloves of garlic with some red pepper flakes in a quart of water. Let this mixture set for about a week and then spray on plants. Another use for vinegar: Clean the white salt buildup on clay pots by soaking them in undiluted vinegar. Stale coffee and coffee grounds make great organic (and cheap) fertilizer. They provide many trace minerals as well as nitrogen, potassium and phosphorous. If you have any frugal gardening tips of your own, let us know! New: Jasco Enbrighten Café Lights Just in Time for Summer! Thanks for the tips! I’m trying out a little garden for the first time…from seeds. I just put the coffee grounds from my coffee this morning in the garden! I hope I see some results soon…I have a lot growing, but no blooms or veggies yet.